In the face of negative public perception and countless stalled infrastructure projects, American City & County’s 2016 Public Works Leader of the Year, Shane Silsby, turned an inefficient department into a finely tuned machine. 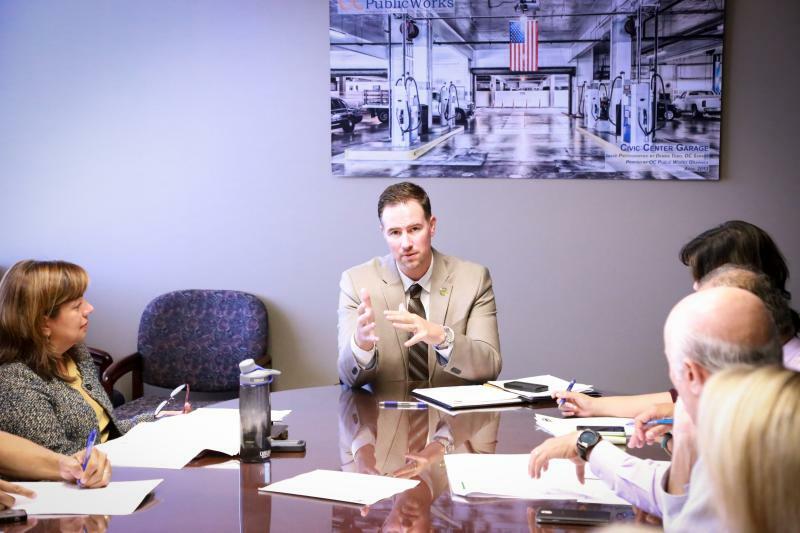 When Shane Silsby walked into the Orange County, Calif., Public Works offices for his interview, his now-boss, the County’s Chief Operating Officer, Mark Denny, was immediately impressed. According to Denny, Shane was clearly detail-oriented and had done his homework. He expressed a keen interest in the best practices of public works, showed an enthusiasm for the work itself and demonstrated a vast knowledge of public works’ different disciplines. However, one situation particularly stood out to Denny. After a rigorous national search, Silsby was ultimately selected to take the reins in November 2013. He manages over 900 employees and a budget of $465 million. However, taking charge of Orange County’s Public Works was no easy task. For years, the department had endured negative media attention, suffered from a constantly bruised reputation and worked off of a budget that lacked a progressive financial strategy. On top of that, the department’s organizational structure was overly complex, leading to countless stalled or half-realized infrastructure projects. Silsby clearly had work to do. From day one, he says he had three main goals: to improve employee morale, to improve the overall efficiency of the department and to enhance customer service. However, to really understand how Silsby was able to accomplish these goals, it’s important to understand where he came from. Like many young people, Silsby took an aptitude test in high school that, due to a his keen interest in math and science, told him he would excel in the civil engineering field. He went on to major in civil engineering at Michigan State, eventually earning a master’s degree in civil transportation from the same institution. During grad school, Silsby interned with the city government of Lansing, Mich., and was given a full-time staff position upon graduation. “I worked there for about five years, and when I left I was the chief administrator of the transportation and parking office,” he says. Silsby says people are often surprised at the ease with which he’s able to transition between the disciplines of public works. “I had to deal with a lot of different things over my career, with the different positions and special projects I worked on,” he says. Because of this broad experience, Silsby says he is not only able to tell when he’s being bluffed, but he can also be engaged and be a participant in the conversation, actively helping to find solutions when anyone runs into a problem. And it’s this ability that helped Silsby take a faltering department and make it succeed. Before his first day, Shane called in a maintenance team to work on his office doors. Denny says this exemplifies Silsby’s leadership style. He takes charge to get things done, while maintaining an openness and transparency that is enviable in high-ranking officials. It was with this leadership style that Silsby approached the momentous undertaking of restructuring his inefficient, lumbering department. In 2014, Silsby began planning the department’s overhaul, and in June of that year, the Board of Supervisors approved the plan. By 2015, the initiative was underway. During the staggering process, staff was moved, new organizational structures were conceptualized, office space was reimagined and budgetary resources were reallocated. In all, over 200 positions were re-assigned, 60 redundant positions were removed and 50 positions were reclassified, all the while ensuring not a single member of staff lost their job. Due to this restructuring, Silsby says the public works department was able to complete 25 years’ worth of human resources work within six months’ time. The restructuring produced a cost savings to the county of $21 million annually, reducing operating costs from $33 million to $12 million. However, the restructuring wasn’t without its opponents. Change is always difficult, and sometimes it’s difficult to get stakeholders on board, both internally and externally. Communication was key in establishing support, Silsby says. “We had 50 meetings with all the groups and sub groups, and we talked about what came out of the survey and why we were making these changes.” Addressing the question of “why,” Silsby says, was the best way to ensure support of the transition. 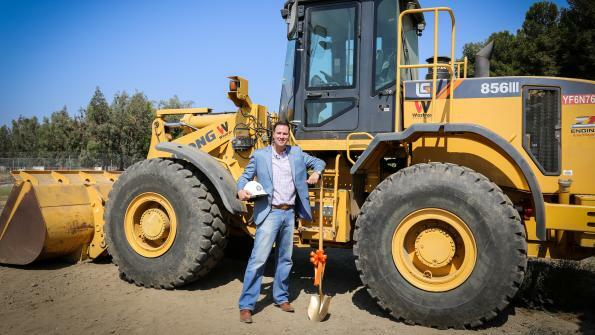 Because of this shifting of priorities, as well as the improved efficiencies of the reorganized department, Silsby and his team have been able to break ground on several new public works projects, including the largest county-sponsored road project in the community’s history. “One of the things that really attracted us to Shane was his knowledge and interest in pursuing alternative delivery methods,” Denny says. “These methods bring projects in faster with fewer change orders and lower costs.” Silsby is actively looking at these methods – such as design/build and construction-manager-at risk-models – that historically county public works has not been engaged in, but by thinking outside the box, the number of projects the county has undertaken in his short tenure has been impressive. 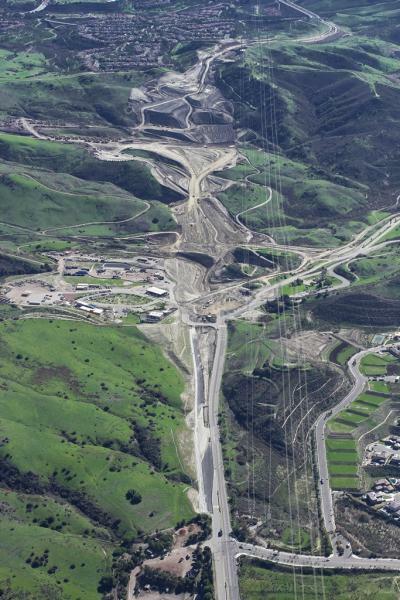 In spring of 2014, the public works department broke ground on one of the largest road projects in the county’s history – the 60-year-stalled La Pata Gap Closure Project. Simply referred to as La Pata, the project was designed to complete planned improvements that were identified in the county’s master plan back in 1956. The project was a massive undertaking and involved moving 14.8 million cubic yards of earth and laying 117,828 tons of asphalt. However, that wasn’t necessarily the most difficult part. Collaboration between multiple county departments, cities, third-party agencies and utility companies was required to make the project a success. 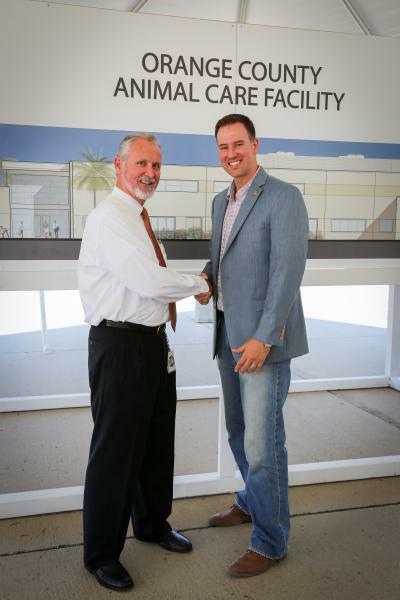 Under Silsby’s leadership, the project moved ahead of schedule, and its ribbon was cut on Aug. 19. Initiated earlier this month, from the start, the project was complicated. There were multiple facets to consider, and numerous details to keep organized. There was a major land-swap leasing deal that had to be arranged through a third-party real estate group, getting 14 cities on board to fund the project, and putting out an RFP for an accelerated design-build project. By using this unique delivery method, Silsby says they were able to cut almost a year out of the project’s timeline while maintaining the budget set earlier in the year. “This is a huge project the county has been looking to do,” he says. In addition to these two projects, the county is also revitalizing it’s harbor, expanding its jail, upgrading its power plant and constructing a new public services building. Silsby refers to these projects as the “Infrastructure Big Six.” In total, “This is over $600 million worth of projects going on in the county right now,” he says. On Silsby’s leadership, Franks says he is most impressed with his level of personal engagement and tenacity in problem-solving. “I know if there’s an issue, he’s the first to call – I hear from him right away.” Franks adds that this attitude isn’t limited to office hours, either. Silsby is available 24 hours a day, and will often handle issues as they arise, even well into the night. Franks is reminded of one instance where Silsby’s leadership skills shone – the recent planning and development of the Animal Care Center. Despite numerous complications during the planning process, Franks says Silsby maintained clarity and organization though transparency and open lines of communication with all involved parties. This humility was exemplified in the process of writing this story, in fact. 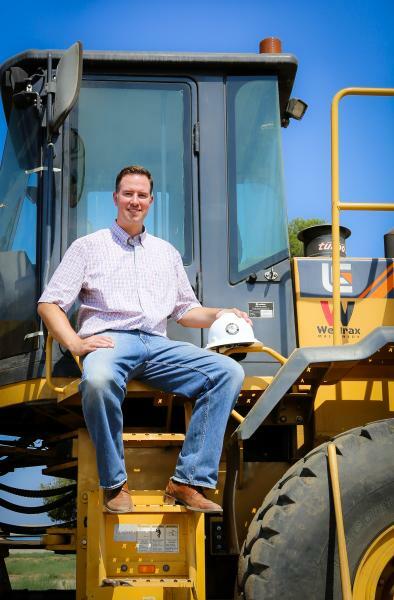 When presented with the Public Works Leader of the Year Award, Silsby expressed a strong desire to give credit to his family, his co-workers and his colleagues. He wished to close with the following acknowledgements. Great work keep going on and all the best for your next project.